It's official: after the runaway success of the Nintendo Classic Mini NES, Nintendo is releasing a retro remake of the Super Nintendo video game console. 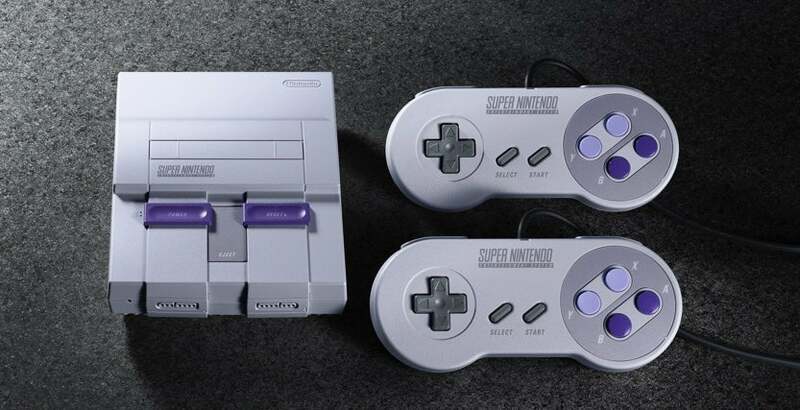 Boasting 21 of the best games from the 16-bit era, two SNES controllers and a nostalgic SNES design, the Super Nintendo Classic Edition is going to be one of the hottest items this Christmas. Here's everything you need to know - including links to pre-order right now! The Nintendo Classic Mini: Super Nintendo Entertainment System, to give it its full name, follows the same wildly successful template as the Nintendo Classic Mini NES. It's a retro console that packs a stack of classic games into a dinky miniature version of the original machine. Originally launched in Australia and New Zealand in 1992, the Super Nintendo is believed by many to be the best games console of its era. The new version purports to have the same look and feel of the original system in a smaller package that fits in the palm of your hand. Here are the details. The SNES Classic will be out in Australia on September 30, 2017. The Nintendo SNES Classic will retail for $119.99 in Australia. This is a bit steeper than the Nintendo Classic Mini NES which originally cost $99 in Australia. With that said, the quality of games is significantly higher. Nintendo SNES Classic: What Games Are Included? The Super Nintendo Classic Edition comes with 21 inbuilt SNES games. In addition to most of the Nintendo classics you'd expect (including The Legend of Zelda: A Link to the Past, Star Fox, Super Mario Kart, Super Metroid, F-Zero and Super Mario World) there are a handful of critically acclaimed third-party titles too - from Final Fantasy 3 to Street Fighter 2 Turbo: Hyper Fighting. Honestly, there isn't a duffer to be seen - most of these games are rightly considered to be all-time classics and they remain perfectly playable to this day. We would have liked to have seen Super Bomberman (and four controller ports), but I suppose you can't have everything. Nintendo SNES Classic: What else is included? The Super Nintendo Classic Edition package includes an HDMI cable, a USB power cable and two SNES controllers. This time, the controller cables are a generous 1.5 metres long, so you don't have to sit right next to your TV like with the NES Classic. Hurrah! Rather cheekily, Nintendo is selling the USB AC Adapter separately for $19.95 - if your TV doesn't have a USB port, this is required to play the system and brings the total to $139.94. You can currently pre-order the right now from EB Games. Bear in mind that just because EB Games is accepting pre-orders doesn't mean it will have enough consoles to go around. Still, having your name on a waiting list is better than nothing. Nintendo SNES Classic: What Are My Chances Of Actually Getting One? The Nintendo Classic Mini NES was notoriously difficult to get hold of. Demand massively outstripped supply leading to farcical online sales that sold out in seconds. We aren't providing specific numbers, but we will produce significantly more units of Super NES Classic Edition than we did of NES Classic Edition. Will the Nintendo SNES Classic only be available for a limited time? Super Nintendo Entertainment System: Super NES Classic Edition is currently planned to ship from Sept. 29 until the end of calendar year 2017. At this time, we have nothing to announce regarding any possible shipments beyond this year. Our long-term efforts are focused on delivering great games for the Nintendo Switch system and continuing to build momentum for that platform, as well as serving the more than 63 million owners of Nintendo 3DS family systems. We are offering Super Nintendo Entertainment System: Super NES Classic Edition in special recognition of the fans who show tremendous interest our classic content. In other words, you better act quick if you want this thing! Agreed. Allstars was by far the main game I wanted to se. Only placed a preorder just to be safe and if hacking opens up more possibiliies.